Determining how to split songwriting credit is already a tricky business. Do you distribute credit equally among all members of a band, even if the lead singer wrote the main musical riff and the rest of the band only added simple accompaniment? What percentage does a guest artist who contributes a rap to an otherwise completed pop song receive? Things get even more complex when it's time to figure out the split for another key player in the creative process – the producer (or producers, as the case may be). One way to make the process transparent (and is absolutely necessary) is by filling out a split sheet. This is an agreement that assigns the ownership percentage each producer and songwriter has in a song. 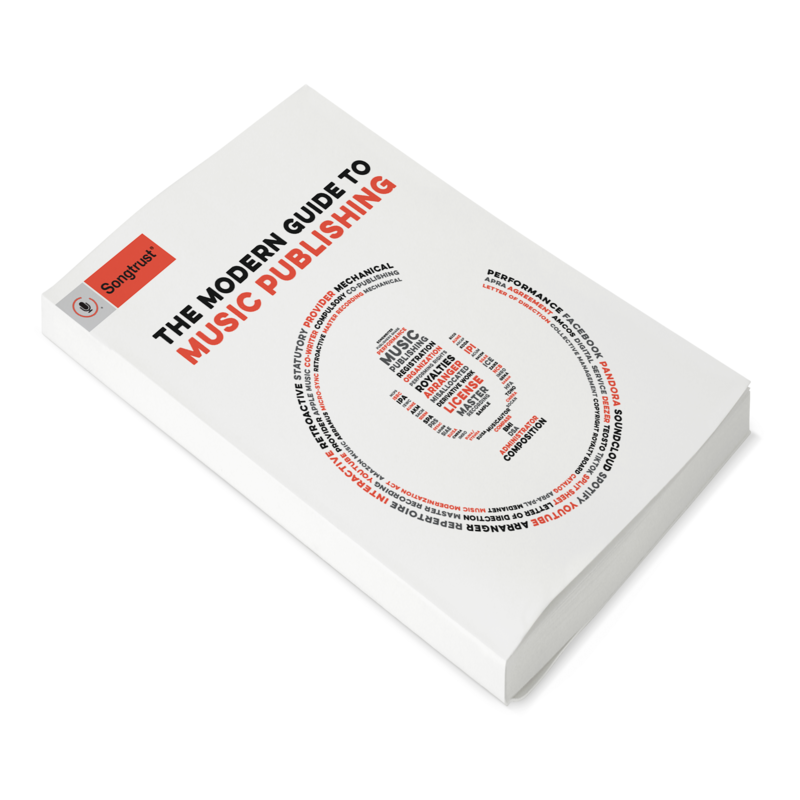 For songwriters, it clarifies what each person's specific contribution to the song was, whether that be lyrics, the hook, the melody, the beat, or something else entirely. For producers, it's slightly different – but no less complicated. The boundaries between the roles of a songwriter and a producer have become blurred in recent years. In fact, so many songwriters today are also producers, often finishing their songs themselves. It used to be that no matter how involved a producer was in creating an artist's or a band's songs, he did not receive authorship credit and had no ownership of the songs. While George Martin is credited with making a major contribution to the Beatles' music, he is officially credited as a producer. Today, genres like hip hop and dance music are production-led, meaning that it's harder to draw a solid line between where the songwriter starts and the producer begins. As you determine authorship of a song, you’ll learn it's not as easy as simply handing out credit to everyone involved. Not every contributor makes an equal contribution, and what is added to the song (which could be a programmed sound or rhythm for a producer, or a lyric or melody for a songwriter) is not equally significant. Further complicating matters can be factors outside of the songwriting and producing process altogether. Getting a high-profile artist to contribute to a song may necessitate giving up some ownership of it, even if the artist had no involvement in the writing process. This tactic isn't a new development, either – Elvis Presley was known for it. The solution is one used to negotiate many agreements – determining the deal before the songwriting process even begins. Having everyone involved agree to what they will receive bypasses many a legal dispute after the song is completed. But what if a producer isn't considered a songwriter? There are even more factors to consider in determining a producer's share. Genre can make a difference in how splits are set, as hip hop and urban producers typically get a higher percentage than jazz and classical producers. If you include a sample of someone else's song, you must also get permission from that artist – and that can mean that the writers of the original sample take a percentage of publishing rights on the new work. Whatever the agreement for songwriting credit, it's important to spell out the details clearly in a split sheet. Clarify what the producer royalty is, whether or not the producer is also a songwriter, who owns the masters (it's often the artist, but there are exceptions), when the producer royalty kicks in (usually after the artist recoups recording costs), and more. Understanding not only what's fair but what's the industry standard will ensure you strike an equitable deal with your producer (or producers) – and don't give away too much, either. Use our split sheet template to make sure any songs you've co-written are correctly determined!